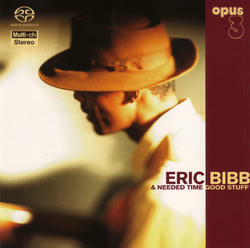 (SACD-HYBRID) Eric Bibb's acoustic blues/gospel goes straight to the heart. Calmly and dexterously Eric Bibb, together with the superlative group “Needed Time”, give listeners 14 good reasons to continue wandering in Lonesome Valley. A Multi-Channel SACD for those who truly appreciate the Blues.